Wat is dit voor site? Wij zoeken de goedkoopste boeken op internet. Opening the Windows of Blessingvonden we het goedkoopst op Bol.com voor €6.79. We hebben gezocht in nieuwe en tweedehands boeken. Rechtsonderaan de pagina kan je het boek direct bestellen	via Bol	.com. 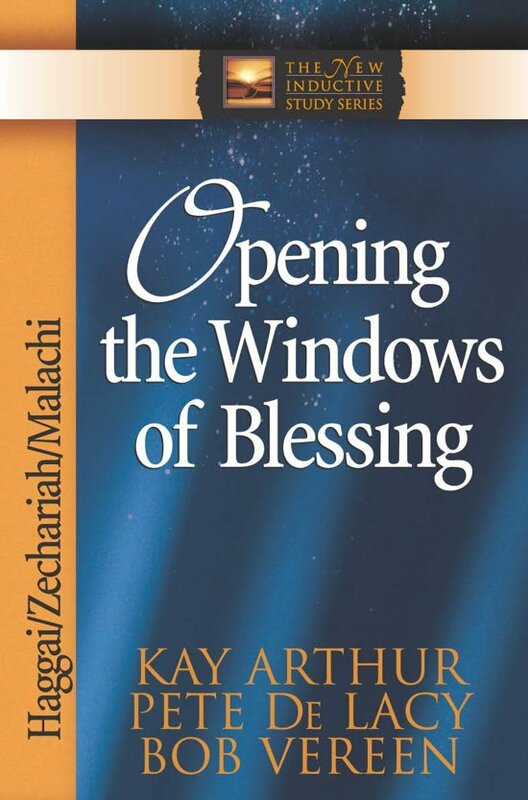 Theexciting New Inductive Study Series (more than 880,000 copies sold) was createdby Kay Arthur for people who long to immerse themselves in God's Word but needa 15–minutes–a–day resource to match their busy lifestyles. This exciting studyfocuses on Zecharaiah, Malachi, and Haggai, threeprophets who shared God's messages of instruction and discipline and also wordsof encouragement and hope. Exploring these books of the Bible provides aninsightful study of God's communication, character, and blessings. Using Kay Arthur'sinductive study method, the truths of these Old Testament books inspire readersto hear God's message, become obedient, and share in the living hope ofa Father who clearly conveys the promise of great blessings.